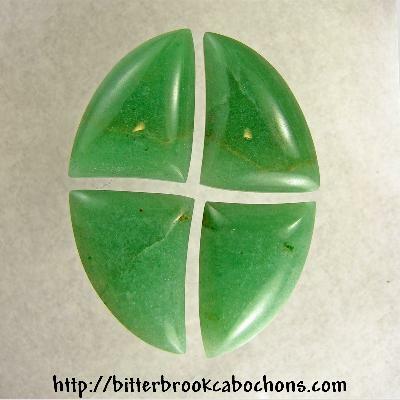 This quartet of Aventurine cabochons started as a classroom demonstration. The cabs were cut from a 52mm x 40mm oval, and each has one concave cut side. This "just for fun" project turned out pretty well. Each cabochon is about 25mm x 19mm x 5.5mm. Tot. Weight: 84.20 carats.